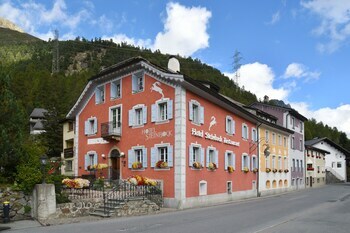 A stay at Hotel Steinbock places you in the heart of Pontresina, steps from Swiss Alps and 4 minutes by foot from Alpin Museum. Featured amenities include a computer station, complimentary newspapers in the lobby, and dry cleaning/laundry services. A train station pick-up service is provided at no charge, and self parking (subject to charges) is available onsite.